Habana Vieja, Havana Leonardo Purzàn, 22, works in a bodega in the Habana Vieja neighborhood. 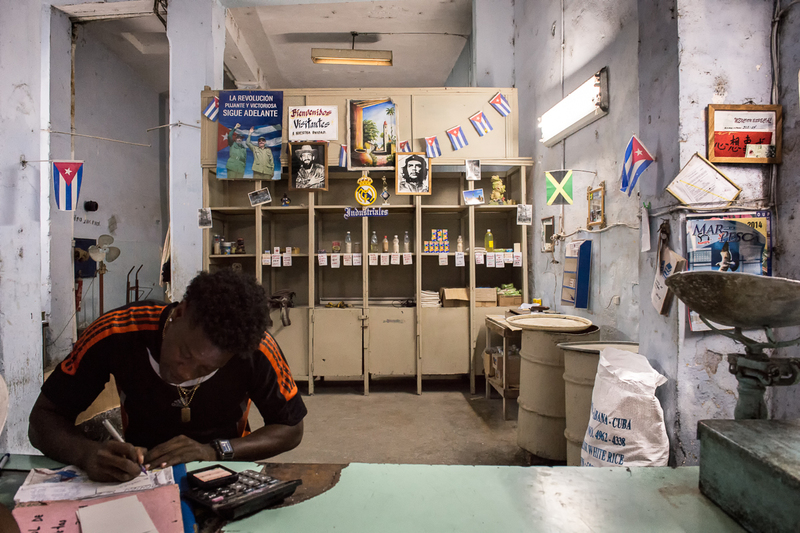 Bodegas are state convience shops that distribute the rations every Cuban is entitled to buy at very low subsidized prices. The supplies booklet, called Libreta de Abastastecimiento, establishes the quantity and frequency of the rations of each person. Products include rice, sugar and oil and last in general about 10 days out of one month.